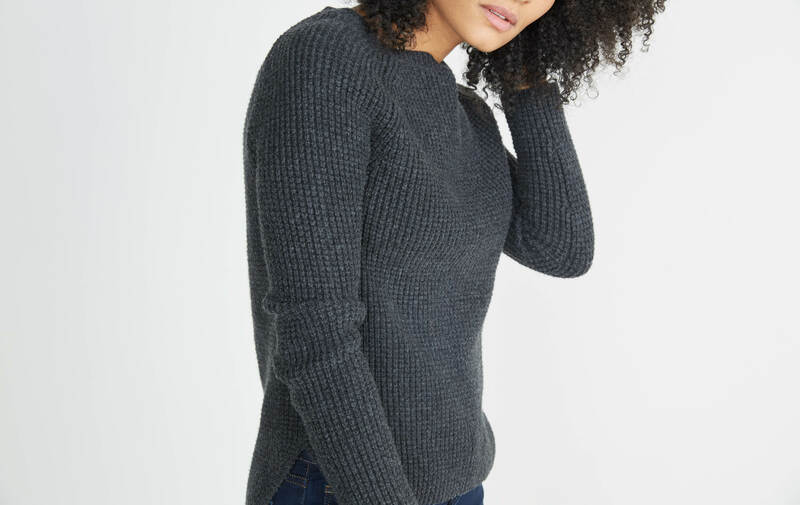 This is one of those textured, cozy sweaters that you'll be reaching for maybe a little too often. 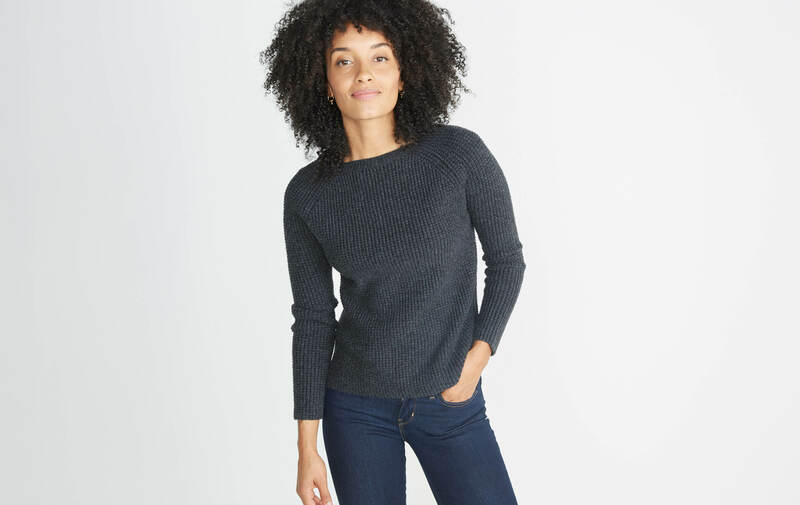 You can layer it over a button down, under a coat, or wear it by itself on those fall days where it just breaks 60. Top-dyed melange yarn knit together in what we call a pineapple stitch (because it looks like the outside of a pineapple, duh).